The area of the Veľký Rozsutec Mt. is the National Nature Reserve. Part of the reserve is the system of gorges called Diery. It consists of three independent parts. 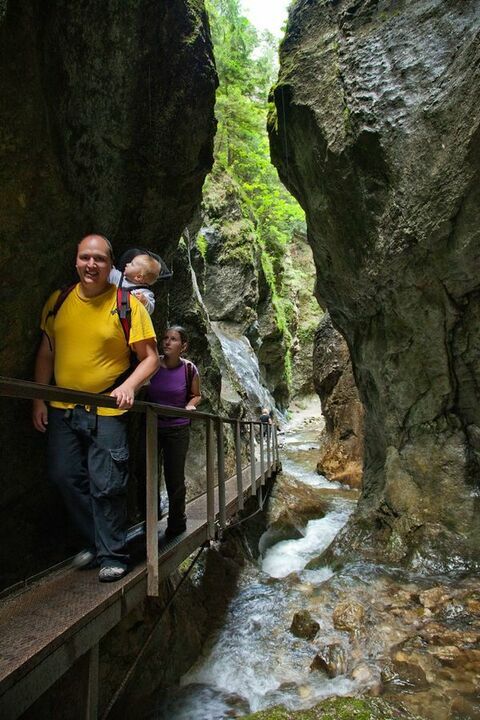 The Dolné diery is the gorge accessible by ladders and footbridges. The Horné diery is another gorge between the Veľký and Malý Rozsutec Mts. characterised by spectacular rocks, waterfalls and abundant and rare flora. The Nové diery is the third gorge, which protrudes from the Dolné diery up the stream of one of the tributaries of the brook. The passage through the most attractive parts of the Dolné and Nové diery follows the route of the instructive path, which starts in Štefanová. The locality Starý Dvor is the base for trips in another part of the valley. In winter it is preferred and sought after by downhill skiers. A family-run hotel, the Diery is 1.5 km away from the centre of Terchova. It is set on the Janosikove Diery tourist route with waterfalls and narrow canyons.